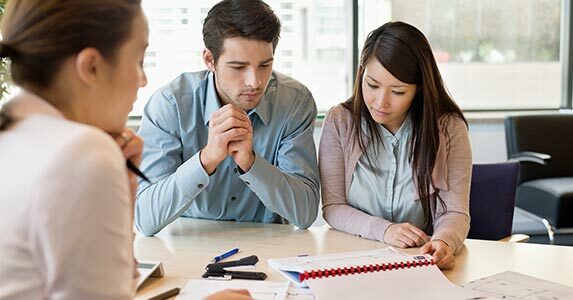 Real estate agents are equipped with a whole new set of talking points about new houses on the market today compared with a decade ago. Jeff Whiton is hearing the buzz about added space, energy savings and tech integration as he looks for a home in Colorado’s red-hot home buying market. 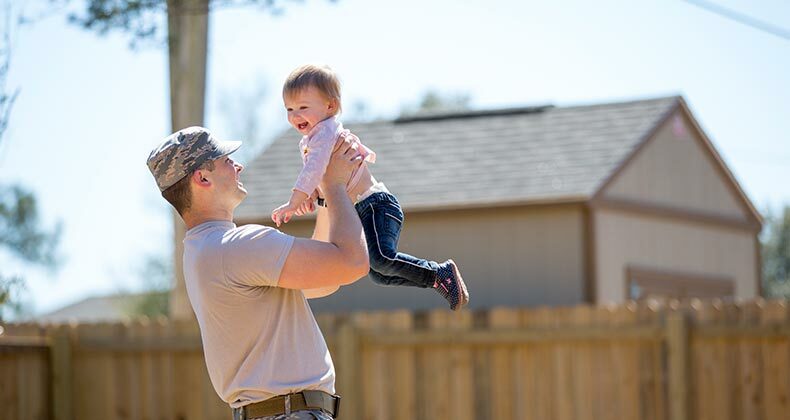 As CEO of the Home Builders Association of Metro Denver, Whiton is no stranger to the features homeowners want most. “It’s changed an incredible amount,” Whiton says. “Homes are being designed to be much more livable from a technology standpoint and an energy efficacy standpoint.” New homes are also growing larger in just about every respect, new data reveals. The latest numbers from the U.S. Census Bureau show newly-constructed homes in 2017 are 4 percent larger on average than a decade ago. 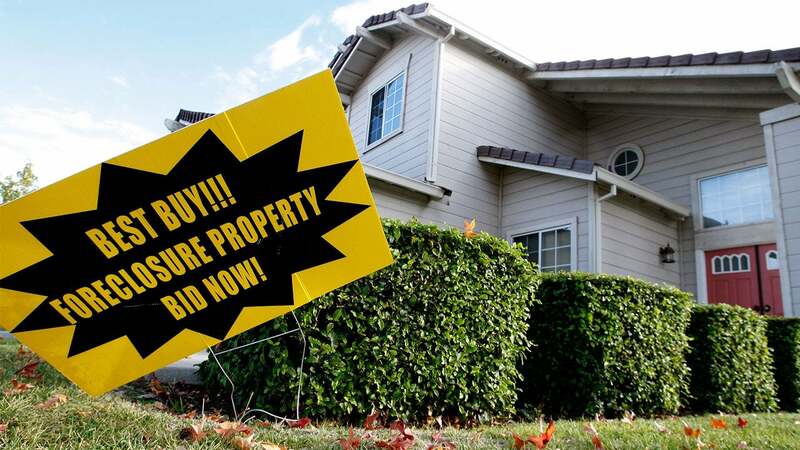 And they come with a larger price tag — the average price of a new home jumped 23 percent from $313,600 in 2007 to $384,900 last year. Meanwhile, the average family size in the U.S. continues to shrink, from 3.33 persons in 1960, to 2.54 in 2017. At the higher end of the market, builders are piling on the extras. Tim Jackson Custom Homes works with homebuyers able to drop upward of $1.5 million on their property in and around Dallas. Custom Homes by Robert Wood is seeing a similar tend roughly 300 miles to the west in Lubbock, Texas. Even buyers with smaller budgets are looking for at least four bedrooms, Wood says. But their price constraints are prompting them to consider smaller lots and footprints. 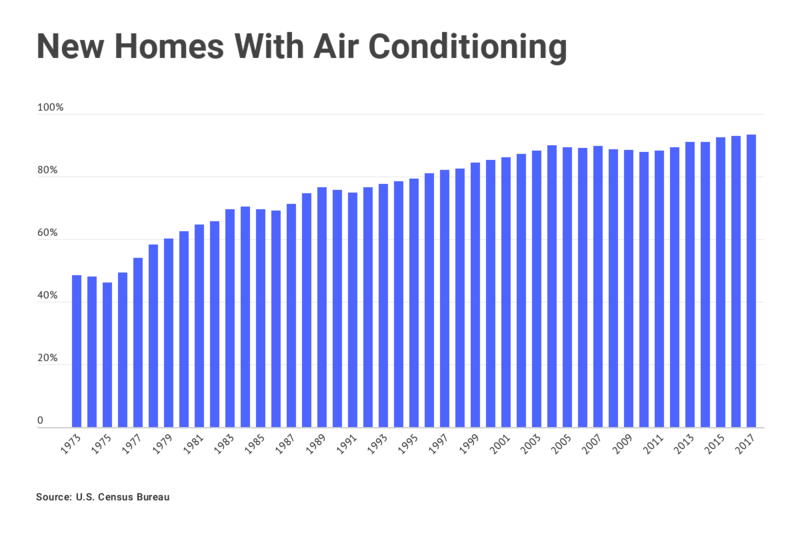 The share of homes built with air conditioning units reached its highest level ever with 93.3 percent of the 795,000 new homes built in 2017 including a cooling unit. 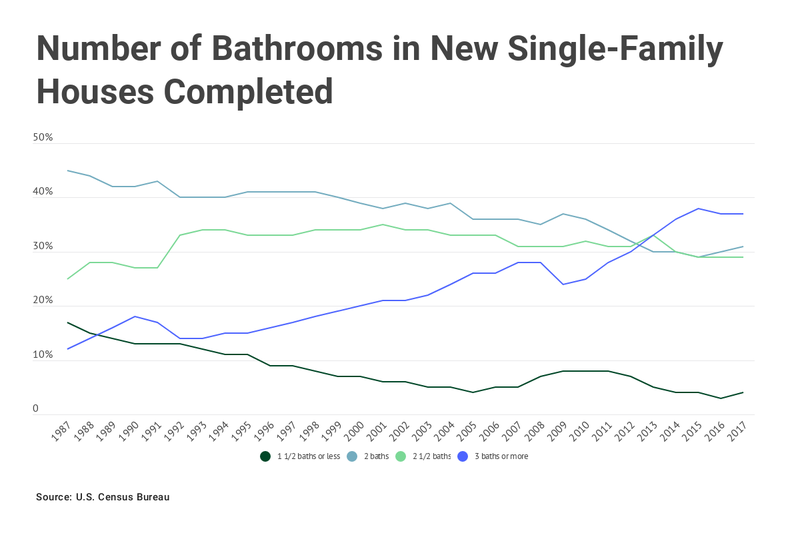 In 2013, three or more bathrooms became the most popular option for new homes for the first time since at least 1987. 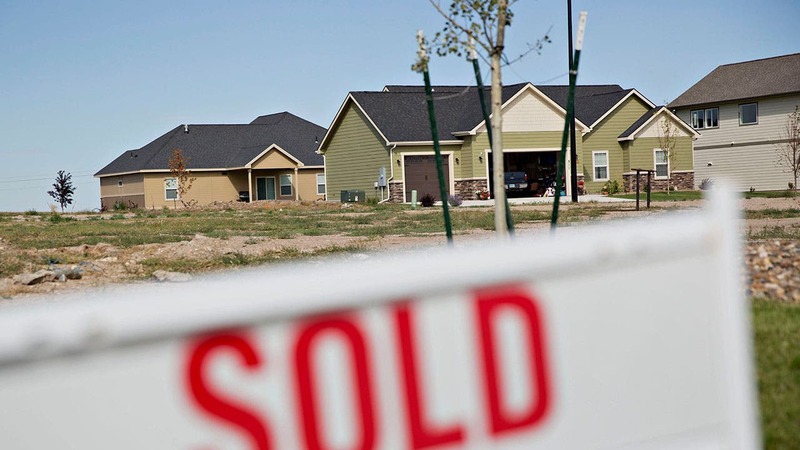 Last year, nearly four out of 10 new homes (37.2 percent) included at least three bathrooms. 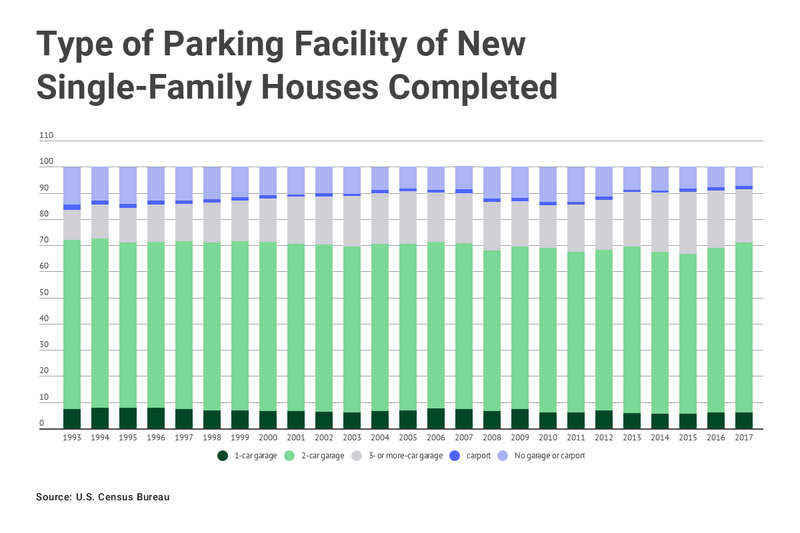 The second most-popular option among new single-family homes was the two-bath house — 30.6 percent of units included that option. 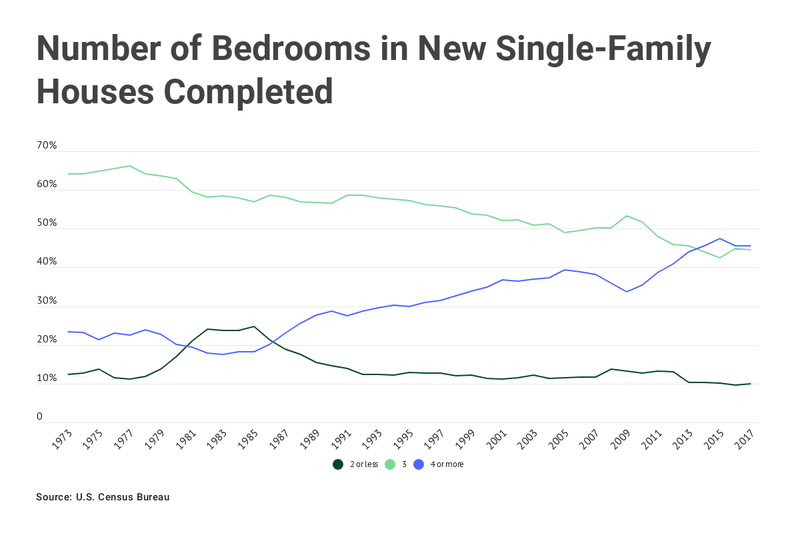 Another housing trend that popped up in 2014 was the rise in homes with four or more bedrooms. About 362,000 homes (45.5 percent) included at least space for four in 2017. 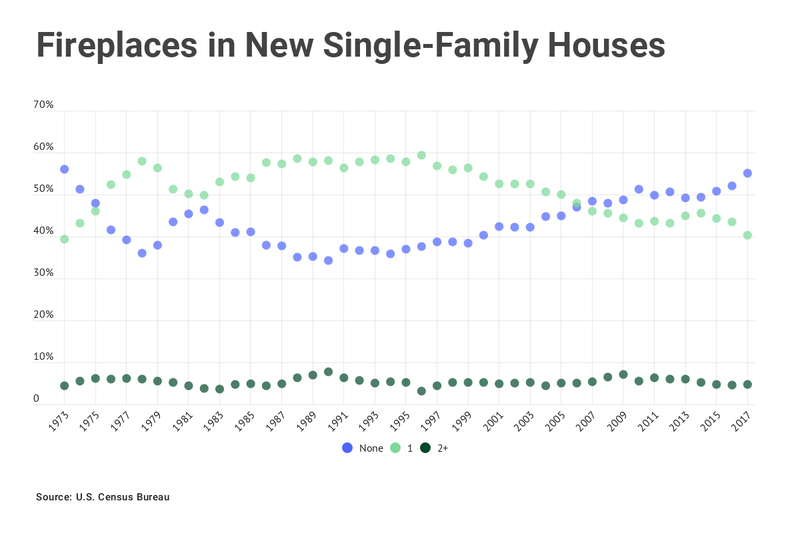 Builders added three-bedroom homes at a slightly lower clip — 44.5 percent of new single-family houses. The percentage of new homes with a fireplace reached a 43-year low in 2017 with 55 percent of the new houses added to the market lacking the longtime family room staple. 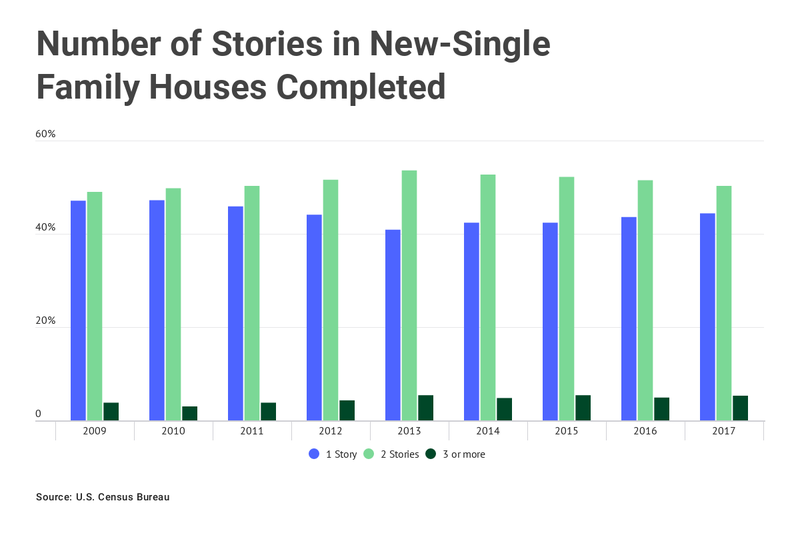 Demand for fireplaces has been cooling since the ’90s with 2007 being the first year that more homes were built without the feature than with. The average home size has experienced some slight shrinkage since its all-time high of 2,687 square feet in 2015. 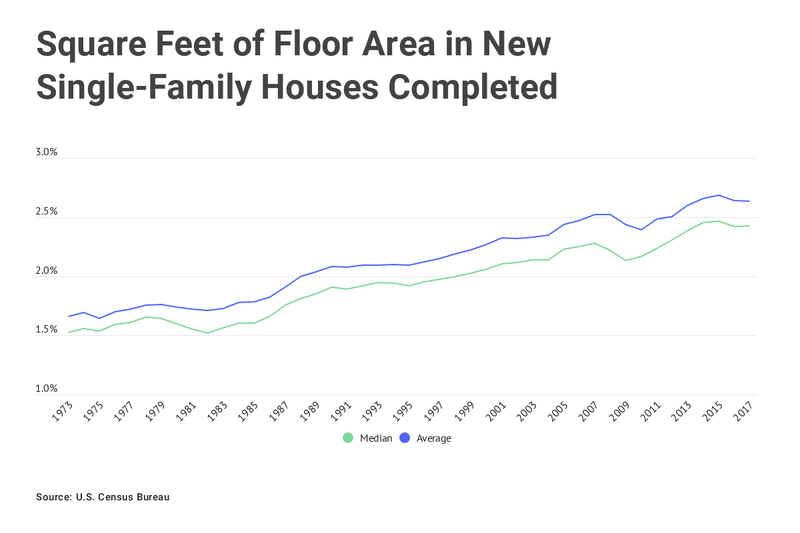 The average square feet of floor area in a newly completed single-family home was down 2 percent or 56 square feet in 2017 from the high mark. But at 2,631 square feet the average last year was still higher than any time before 2013.